Hey there Peeps! 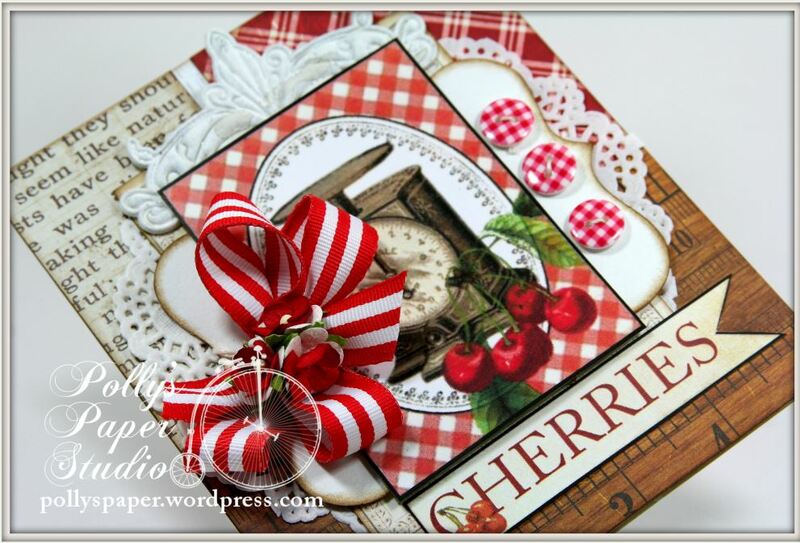 I’m just dropping in to share a very sweet and vintage styled Summer Cherries card. 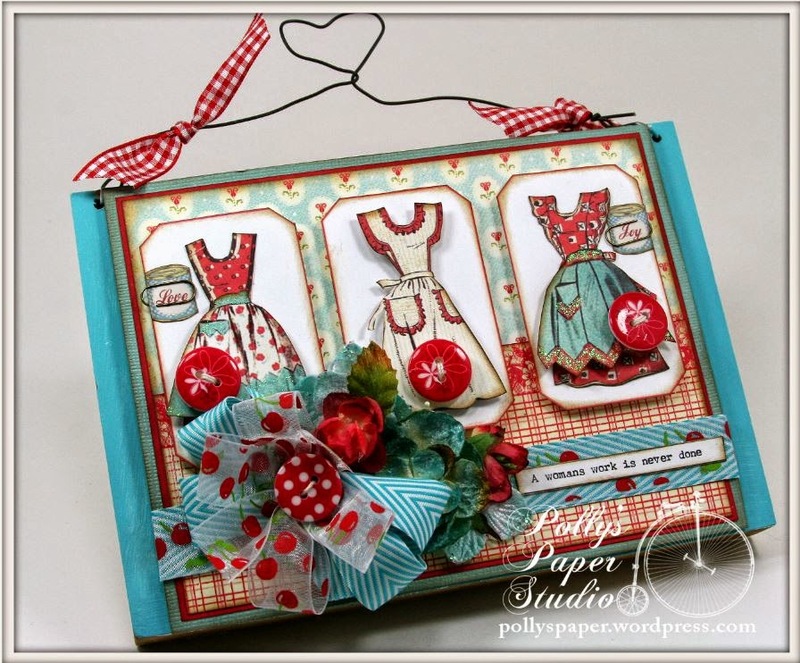 I combined patterned papers from Crate and Lily Bee to create a country inspired base for the Sweet Summer Cherries Image. Is there anything more vintagy than an old scale??? 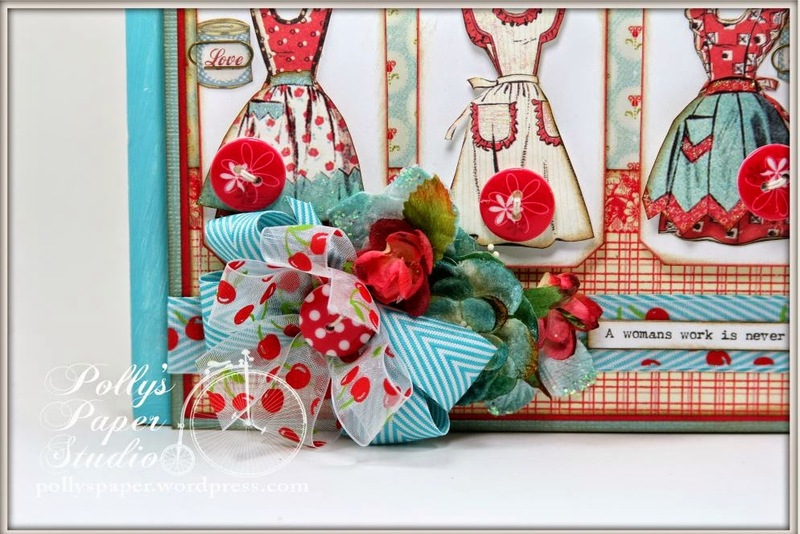 Sweetheart Blossoms are the perfect topper for this extra poofy and striped bow. 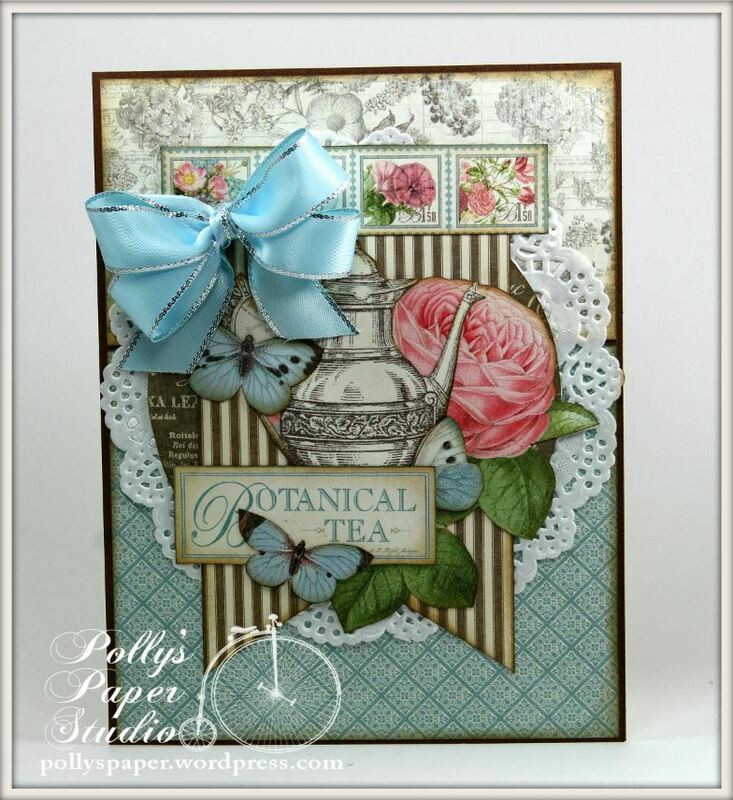 This lovely little dimensional flourish is from my stash…..been waiting a long time for the perfect project..it’s from Pink Paislee. Gingham buttons are the icing on the country cake. Find the Summer Cherries Collage sheet here. Hey there Peeps! As you know we are celebrating Spring here in mid-Michigan. Last weekend that meant 75 degrees and camping and canoeing. We’ve had snow over the last few days and this morning it’s 17 degrees. Good thing I have plenty to do in my studio to keep me outta the cold ! 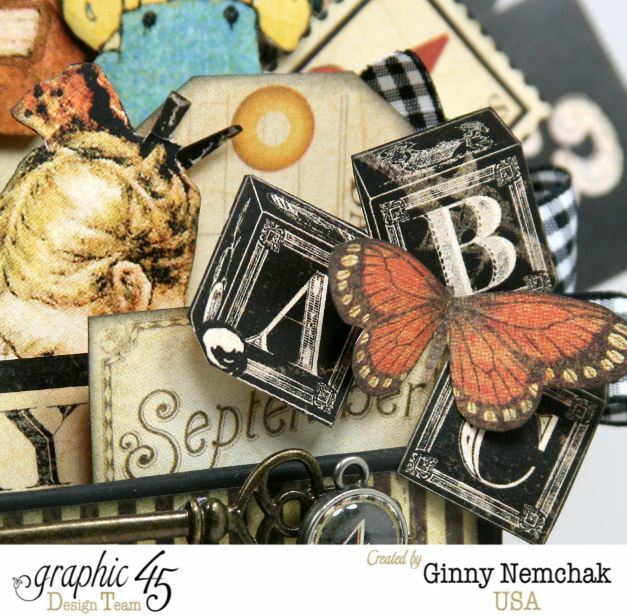 I’m sharing my ABC Primer Collage Box today…I’m really quite in love with the Graphic 45 Staples Boxes!!! They can be anything you imagine. Hey there Paper Peeps. 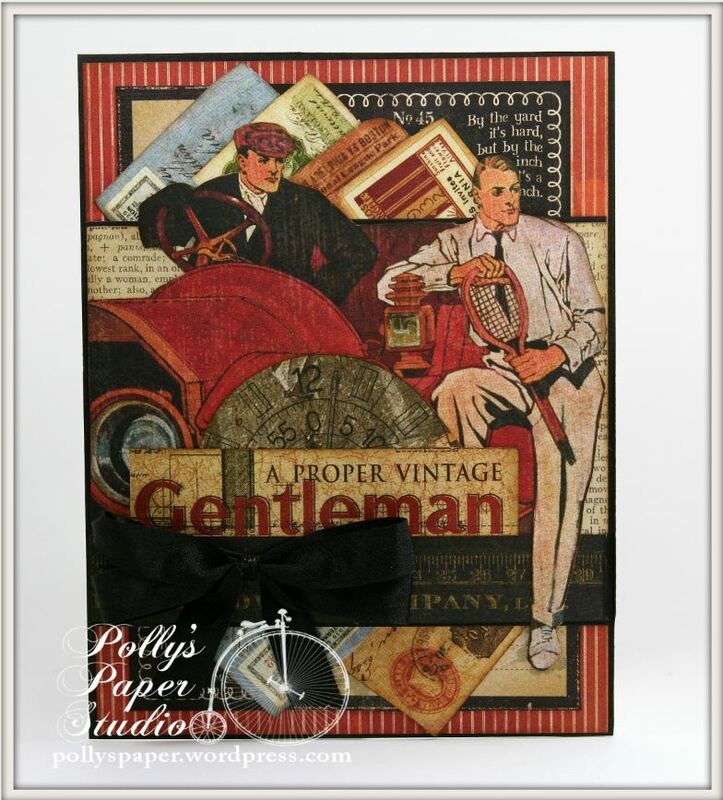 Ginny here to share a really awesome and really retro wall hanging. 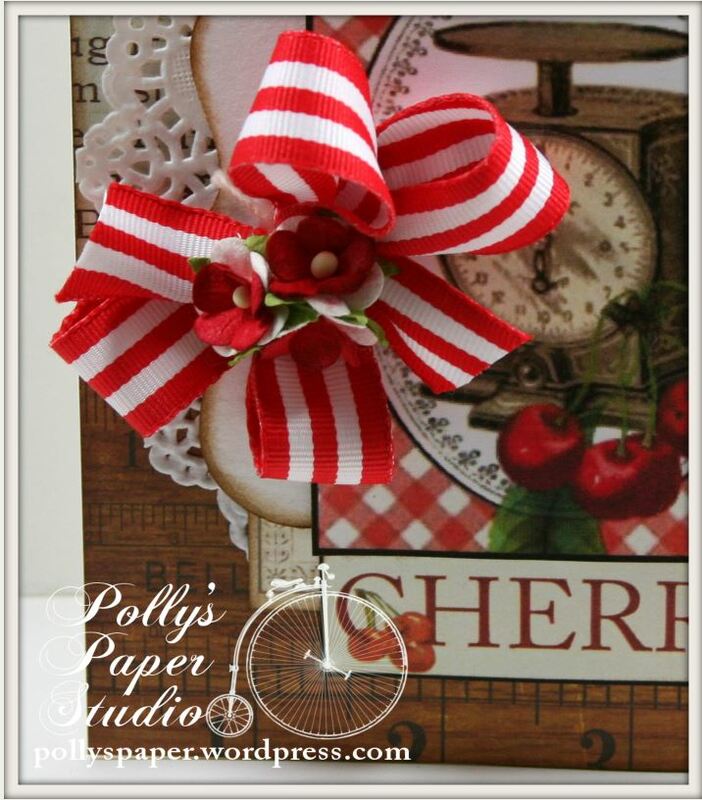 I used my new favorite Sheer Cherry Red ribbon for Summer projects from Really Reasonable Ribbon of course. 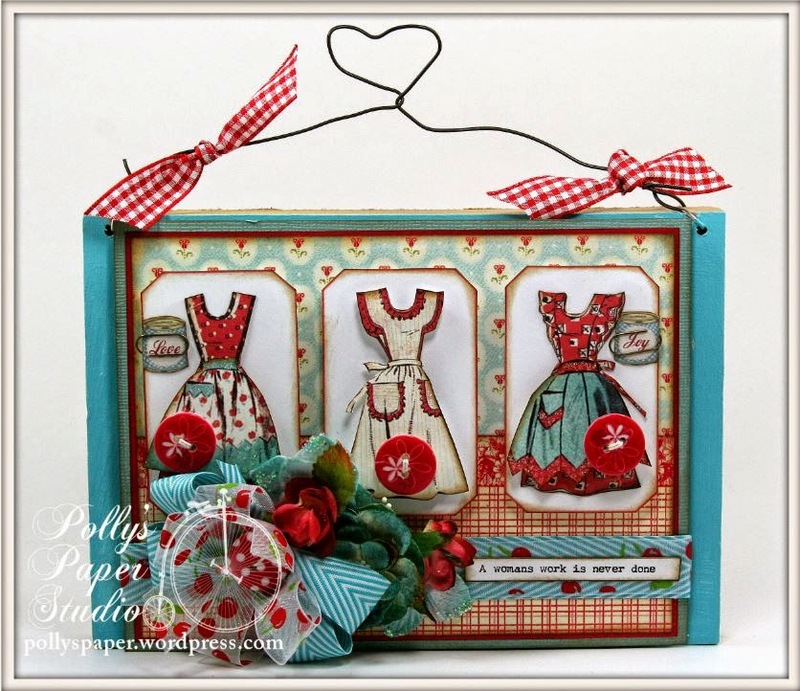 I created these great little layered aprons with images from Domestic Goddess Creative Scraps. 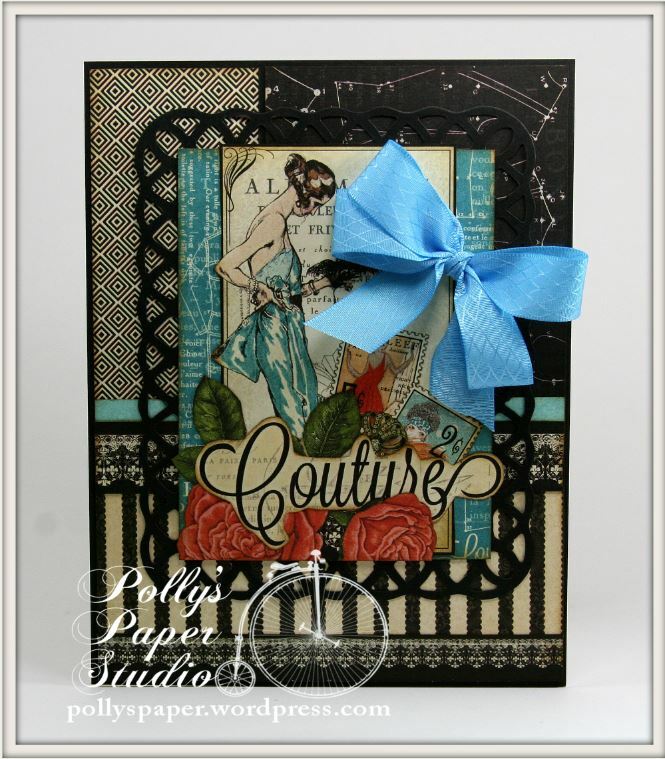 The papers are from Creating with Vintage Patterns CD. 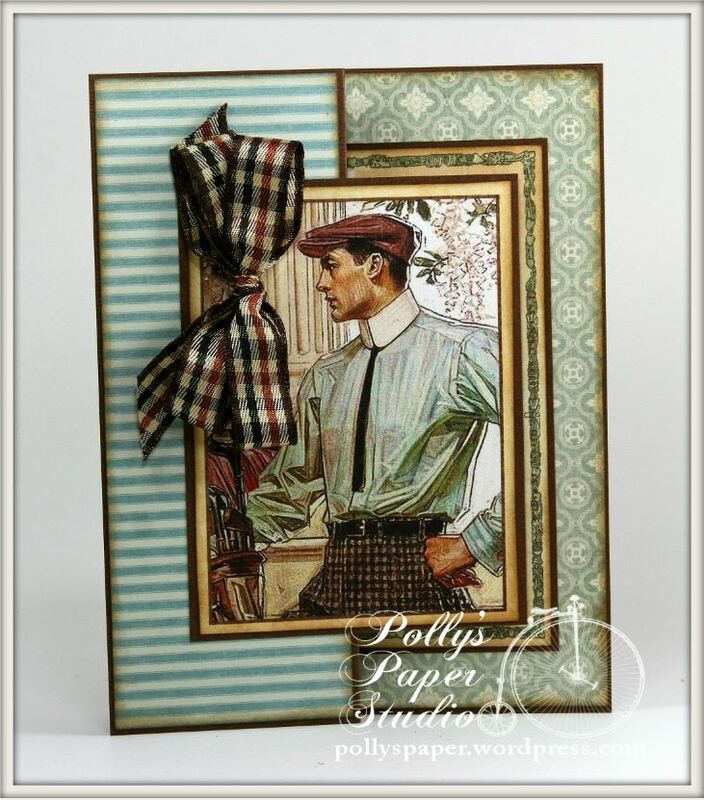 Red Plaid Ribbon is the perfect accent. I added some gorgeous coordinating flowers from Petaloo and groovy little patterned buttons. Good morning all. 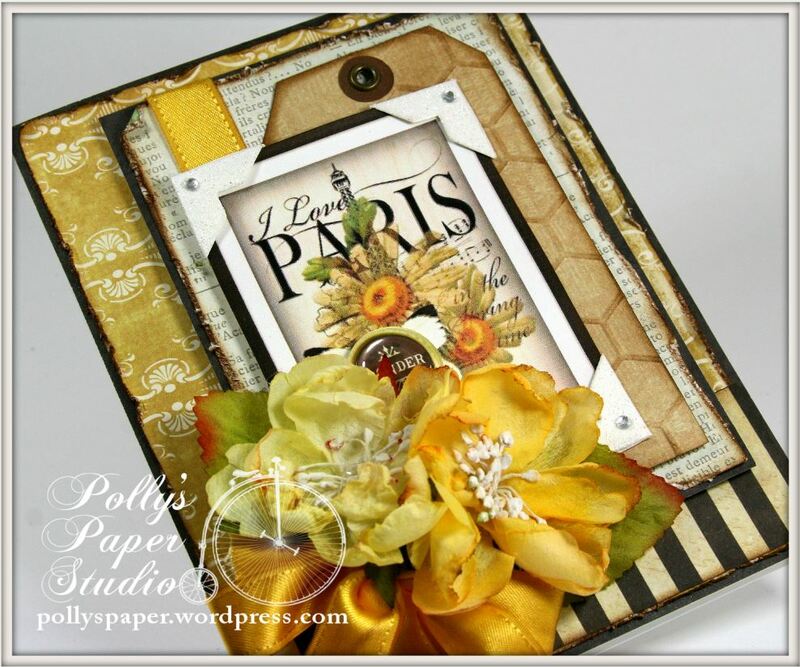 I’m dropping in this morning to share a card a created with a variety of patterned papers and an image from my Paris Cards Digital Images Collage. 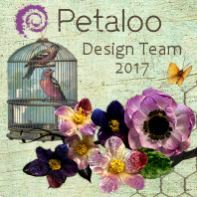 I took the color inspiration from the tag with the yellow from the daisy and the dark border. With the tonic edger I gave it a really grungy distressed edge. 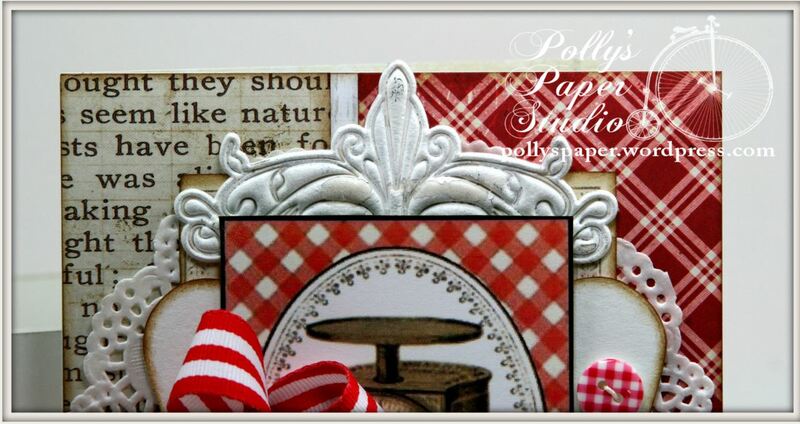 The honeycomb embossed tag was a leftover scrap from another project….score!!!! I just added a dark circle of cardstock and a eyelet. Gotta love when you can work with scraps. I found that little wonder button on a fun shopping-dinner trip I took with my fav Vintage Chicks and I’ve been dying to use it. 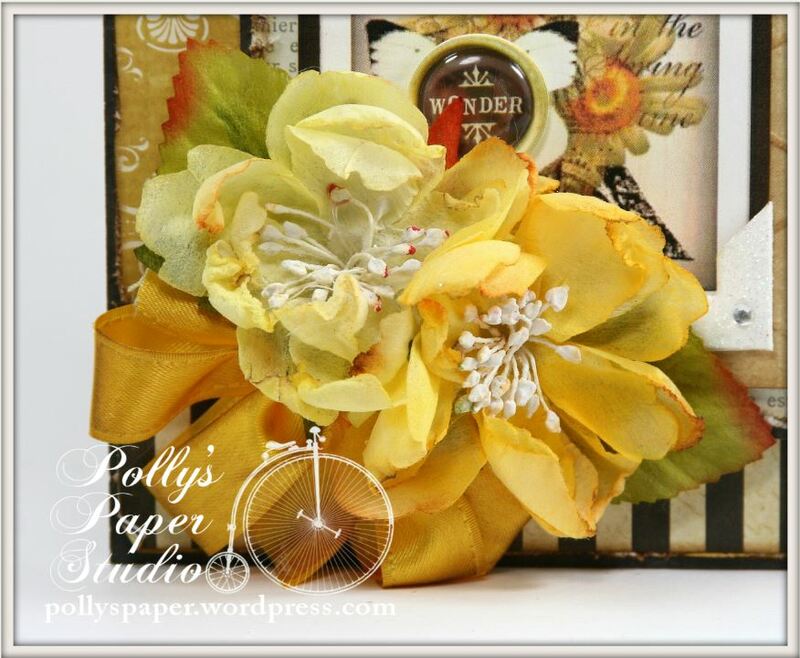 These super gorgeous flowers are from Petaloo and the Ribbon is from Really Reasonable Ribbon Yellow Double Faced Satin. I did Ink it quite a bit to create an aged look. 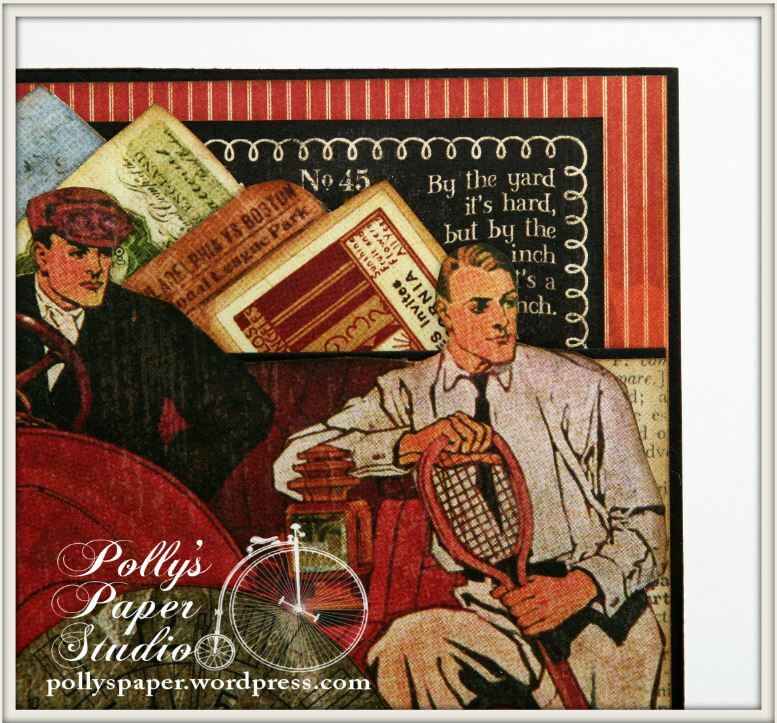 Papers are a mash up of Webster’s Pages and My Mind’s Eye. 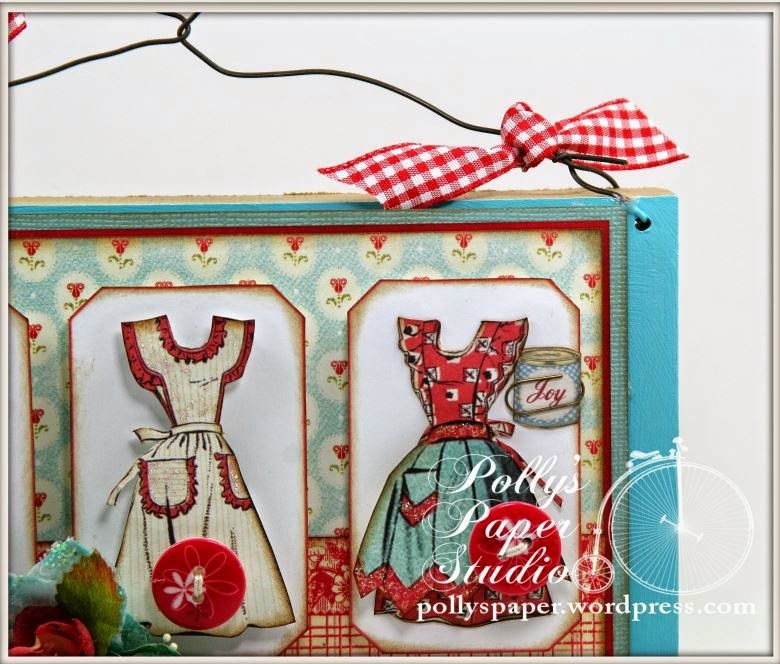 I’m taking part in the Crafty Secrets Farm Chicks Blog Hop along with the rest of the crazy creative designers on the Crafty Secrets Team. 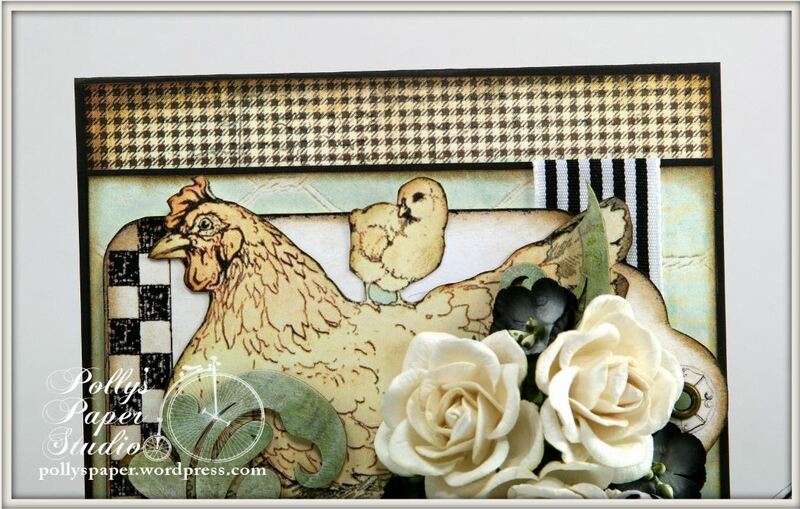 Each design team member has used the new Farm Chicks Digital Art Stamps, or the new Digital Chicken Farm Print paper…or both to create a fabulous chicken themed project to inspire and delight you! 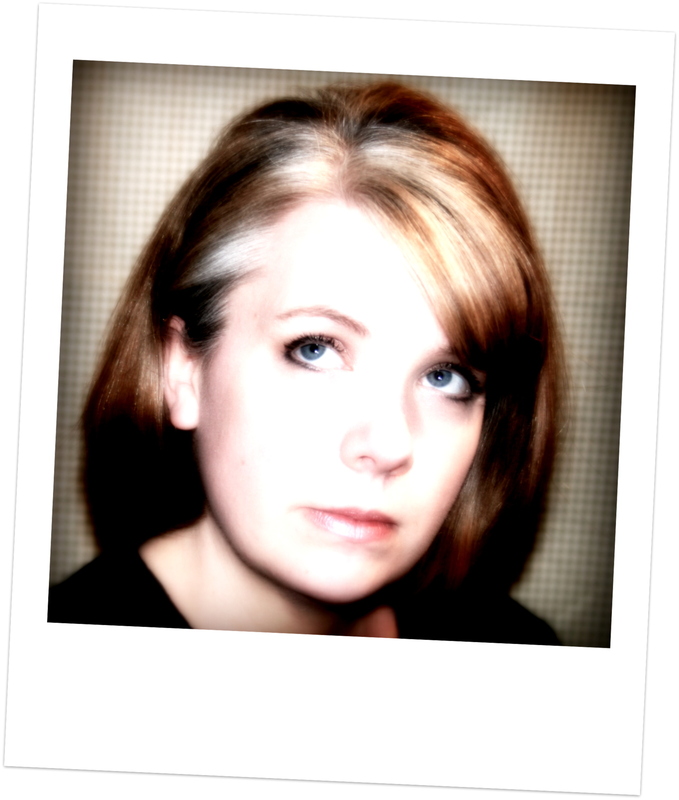 You should be coming to me from the fabulous Elizabeth….then you are right on track. 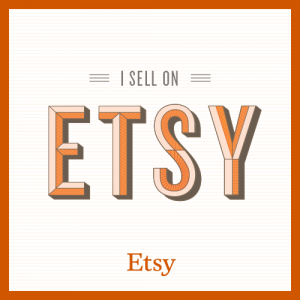 If not, you can go back to the Crafty Secrets Blog and follow the links. I created a fabulously fancy Hen Card. Because why not? 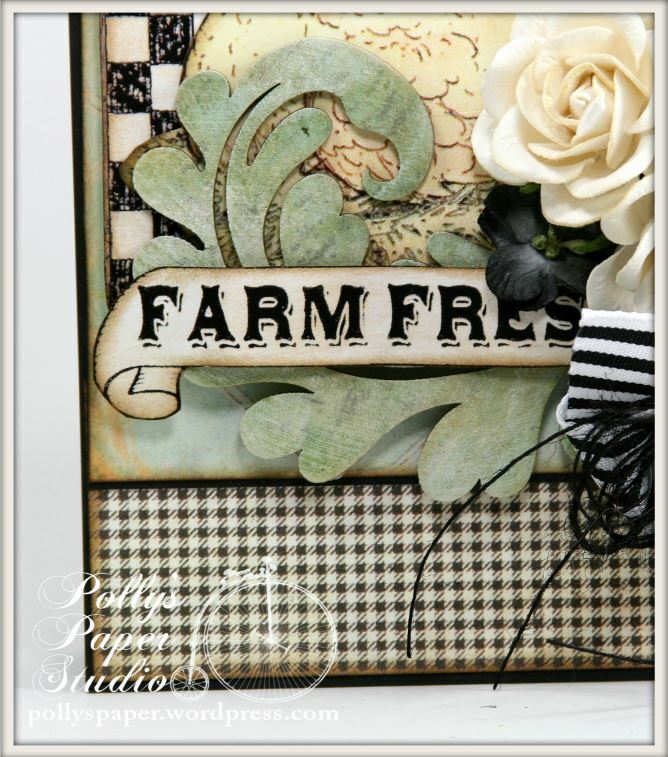 In addition to the Farm Chicks papers and digital stamps I used a really country chic black check from the Creating With Vintage Halloween CD. I chose to use the hen with chick as my focal point…so I printed them extra large and fussy cut them. 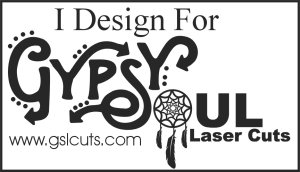 Don’t forget to ink your edges when you fussy cut! 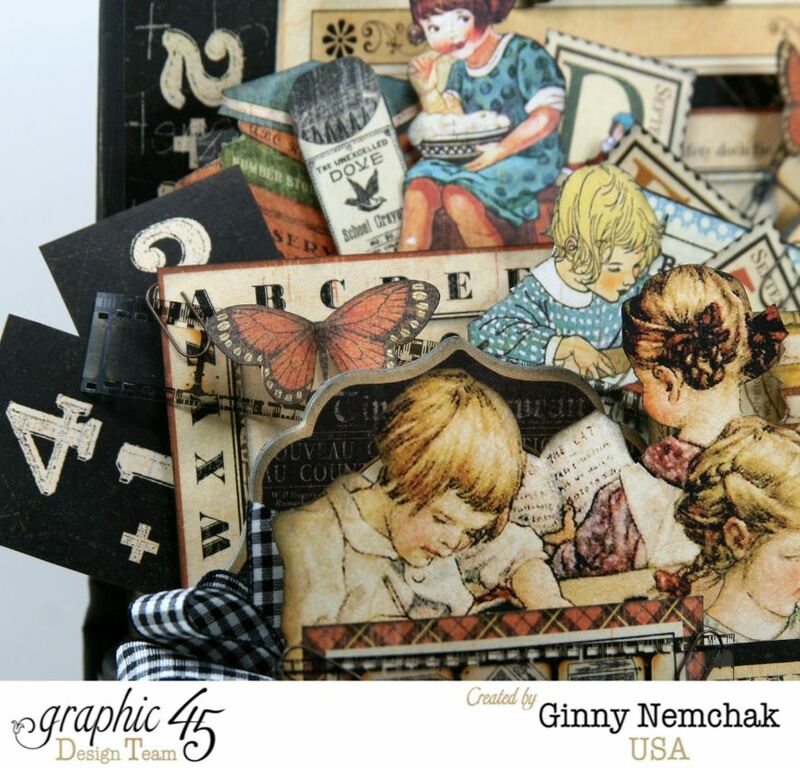 They’re layered over a tag image from the Digital Stamps. 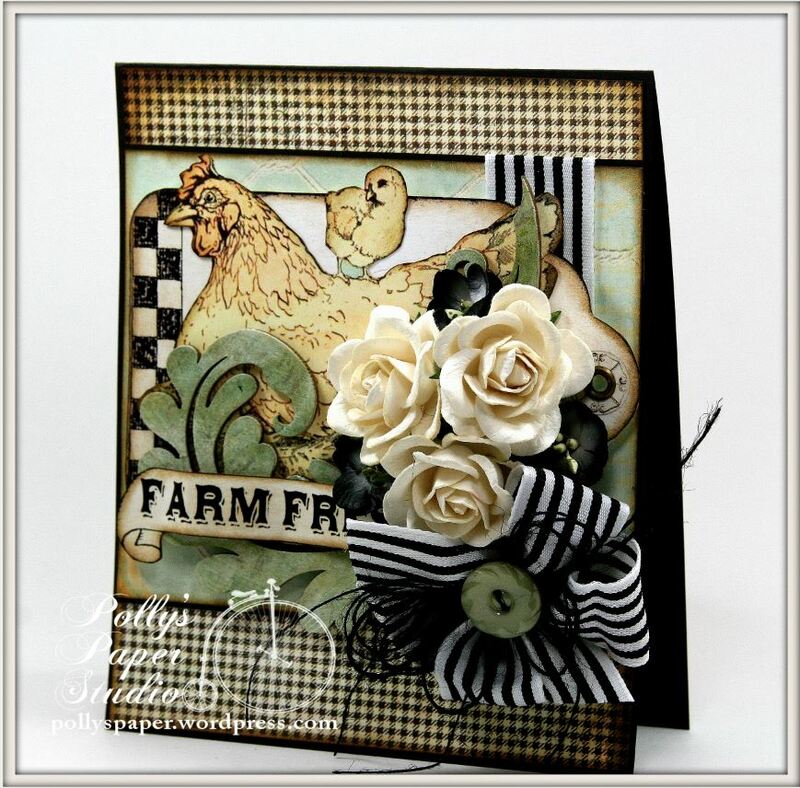 The Farm Chicks sentiment banner is layered over a painted+inked+distressed Dust Attic Chipboard “nest”. 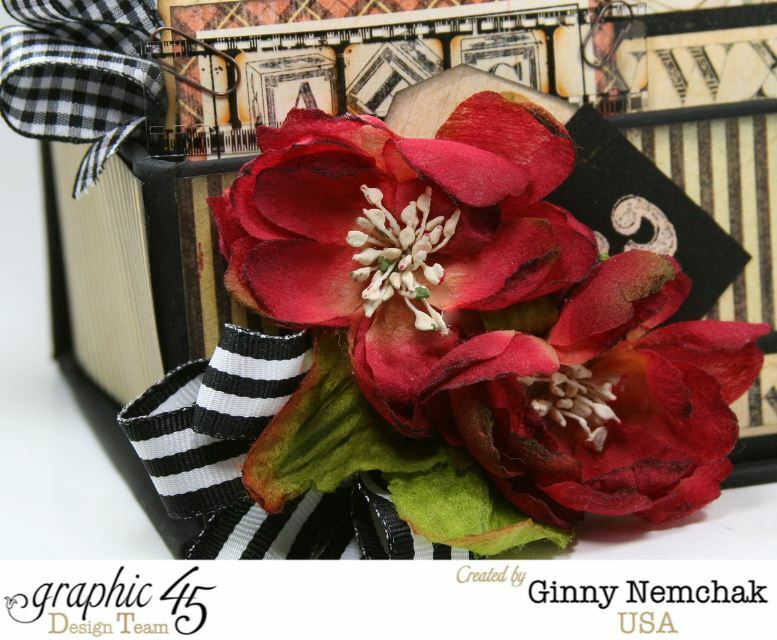 To fancy up my card…I arranged a variety of Petaloo Black Forget Me Nots flowers and Mulberry Roses and tucked in a generous bow of fabulous striped ribbon topped with Black Burlap String and a vintage button. I got a request recently to create a set of cards that were flat so they would be more shipable. My first instinct is to panic and run around in circles. But then I said to myself “heyyy I got this!! 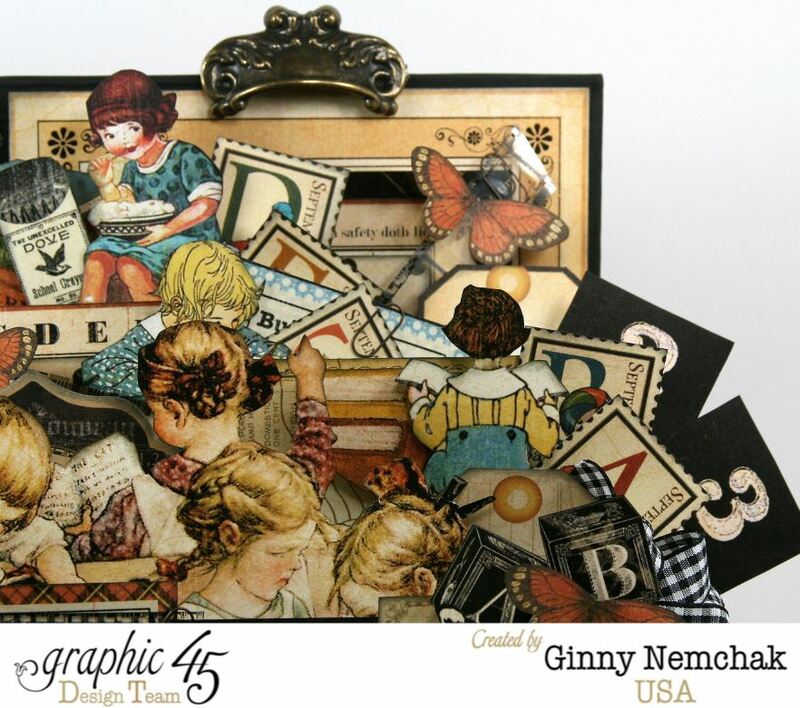 !” So out with the Graphic 45 8×8 and 6 x 6 tablets…..and layered up the pattern papers to achieve lots of detail. Further instructions allowed for small bows and buttons so that will be great to finish off the cards. Couture is of course an obvious choice with the bright colors and graphic images. 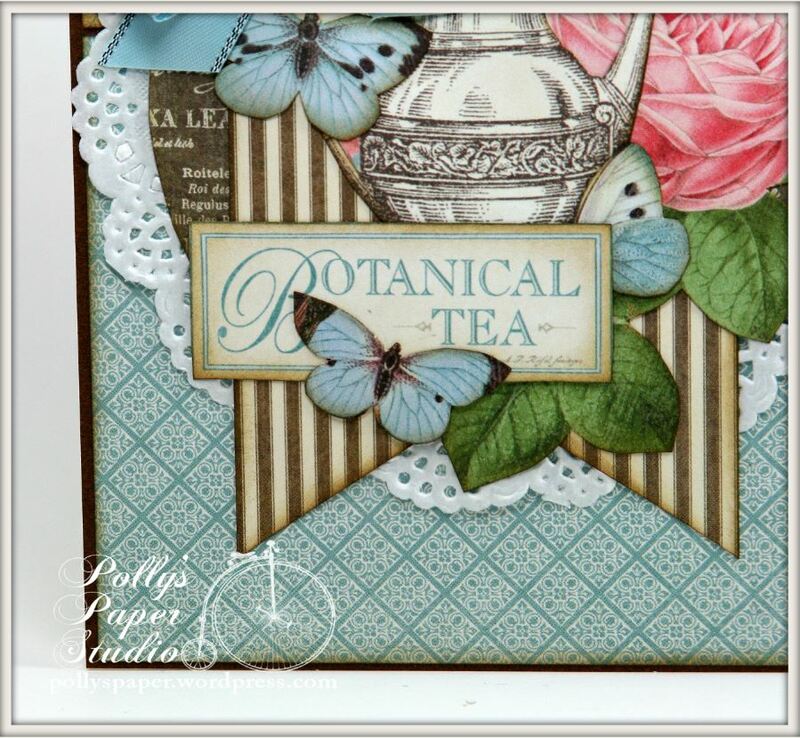 Botanical Tea is soft and feminine. Love that vintage lady in her jaunty striped dress. 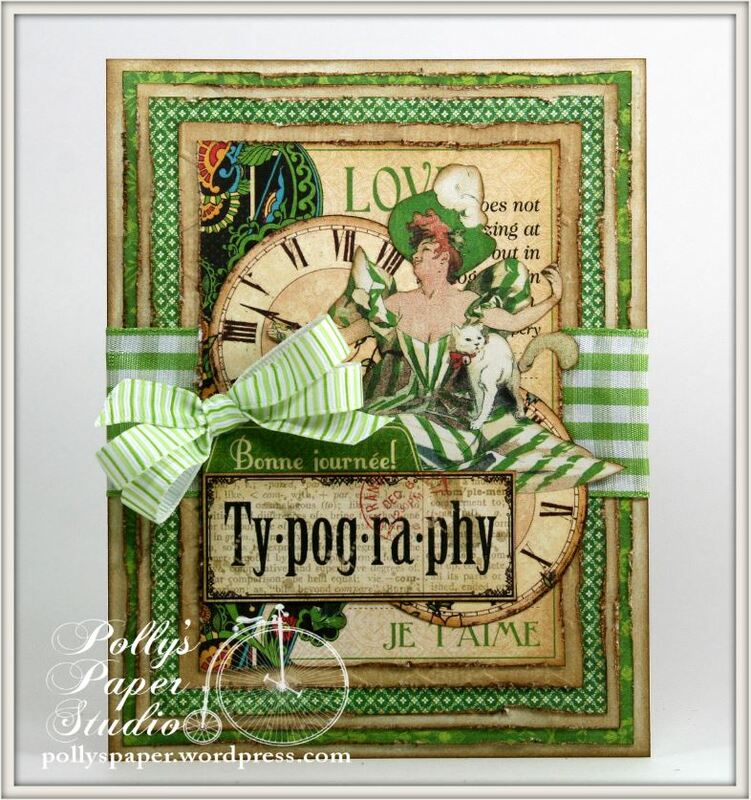 Typography and a little Twelve Days of Christmas. 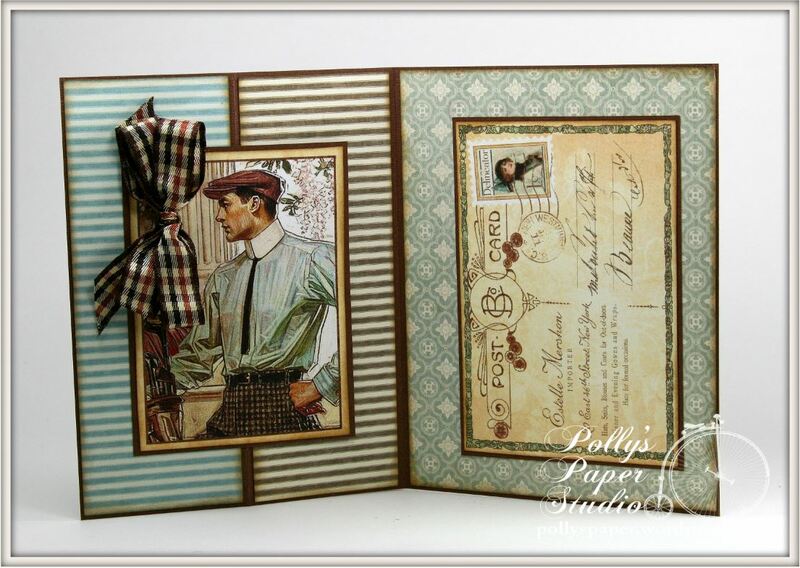 Back in the stash to find this dapper fellow in A Ladies Diary for this fun tri-fold card. I mixed and matched patterns from Botanical Tea. This last masculine card has a mash up of Come Away With Me and Botanical Tea. 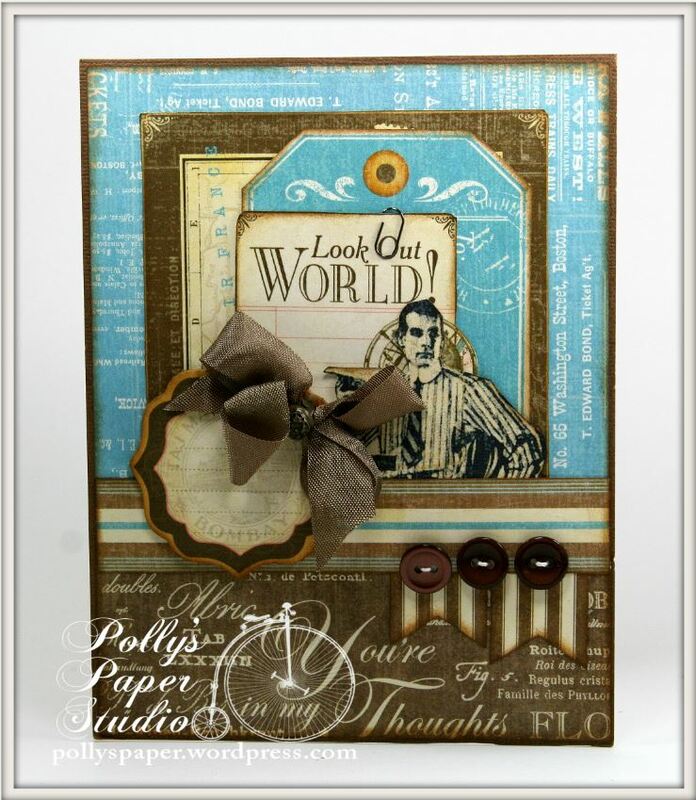 Blue and brown are so classic! 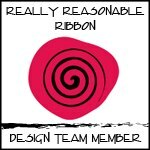 All of the ribbon trims are from Really Reasonable Ribbon. 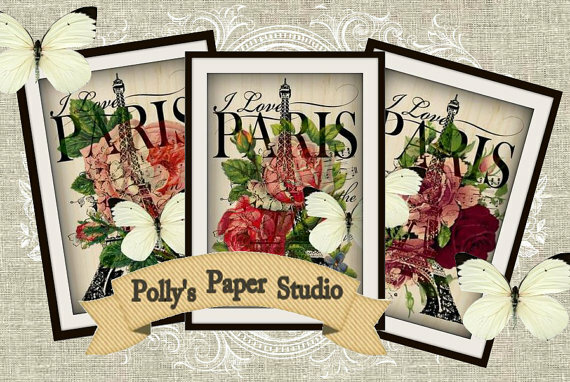 Okay that’s all for my “flat” cards….I hope I’ve inspired you to have a look through those smaller paper pads….they make fabulous mailable cards! Hey Paper Peeps! 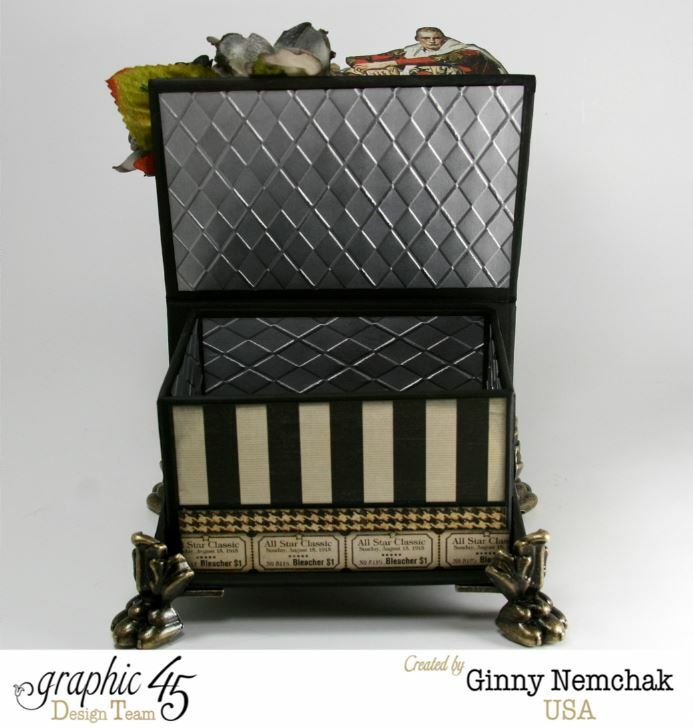 Think you’ve seen it all when it comes to G45 boxes? Well you haven’t!!! This weeks features are all about the Box Staples and let me tell you….the designers have really thought “outside the box” on this assignment. 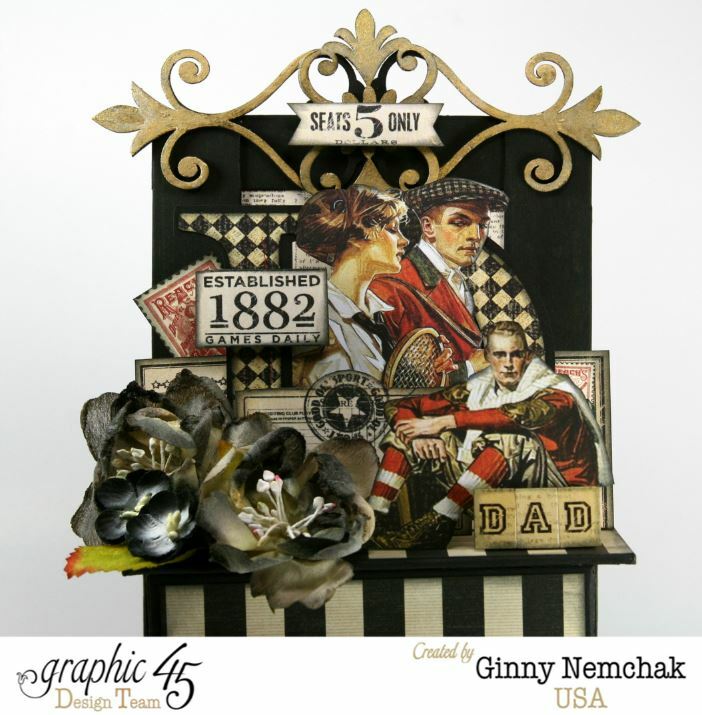 I’m still on a mission to create more masculine projects so my box project is Dad’s ATC Treasure Box with Good Ol’ Sport…. 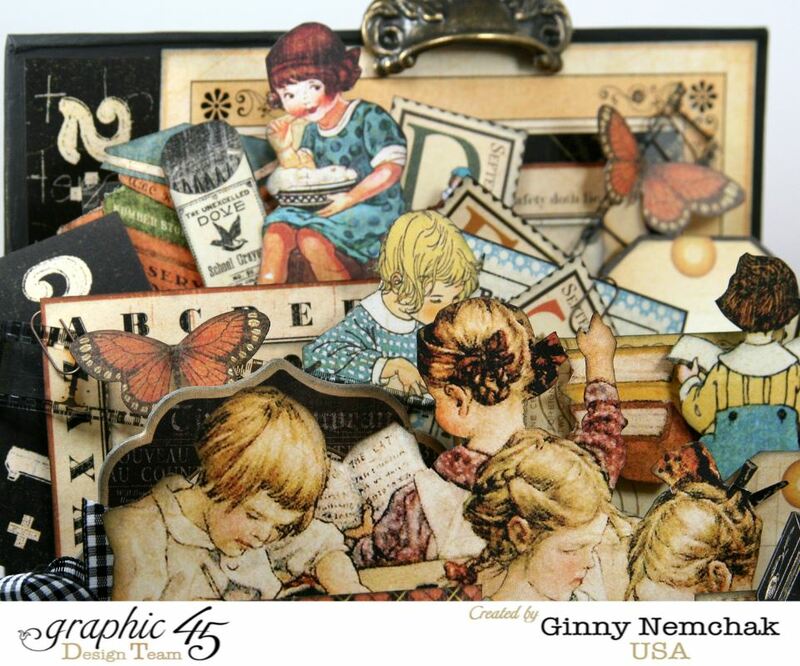 I layered the patterned papers and fussy cut images on top of the box. 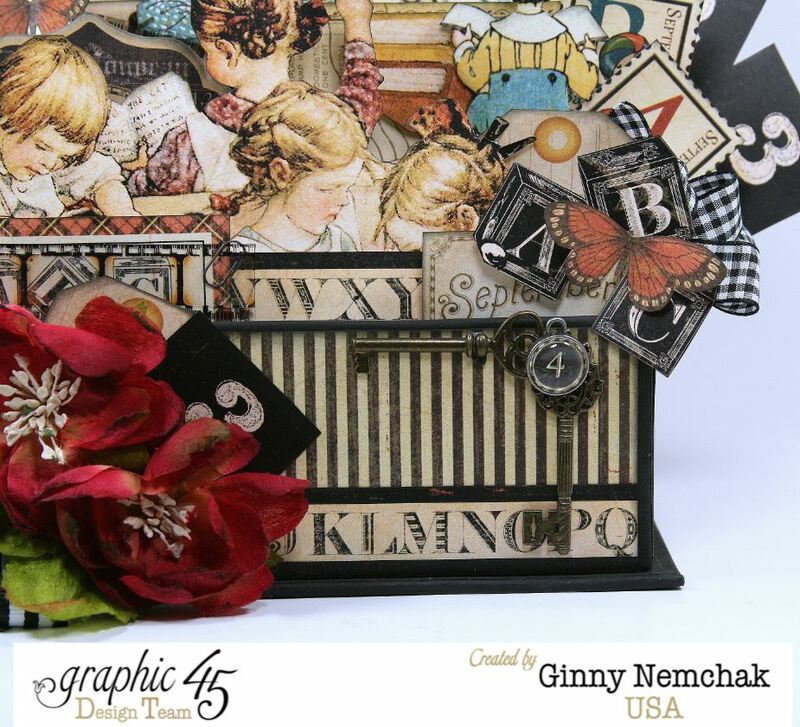 I used a chipboard frame at the back of the lid so I could create a dimensional display with the images, chipboard and flowers. 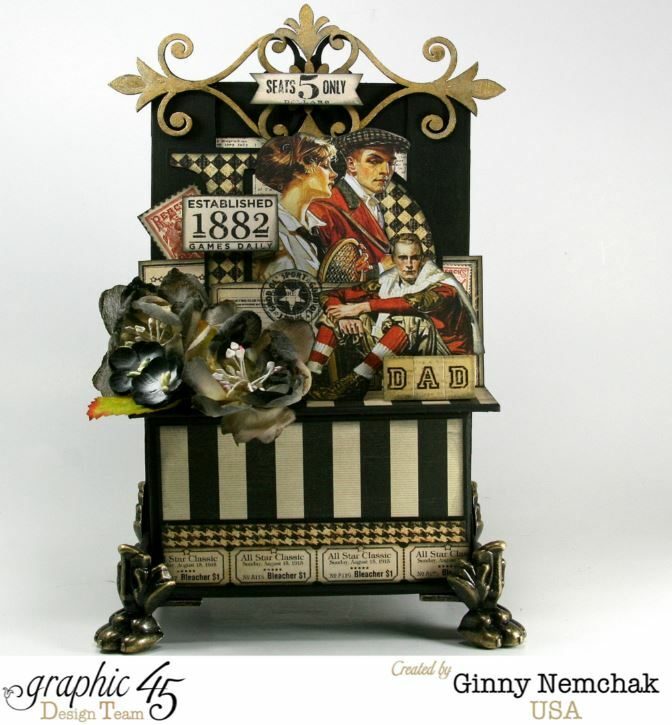 I used some Gold Smooch on the chipboard and heat set it to get a metallic look. These new Claw Feet Metal Staples are so cool and I’ll be using them on everything!!!! 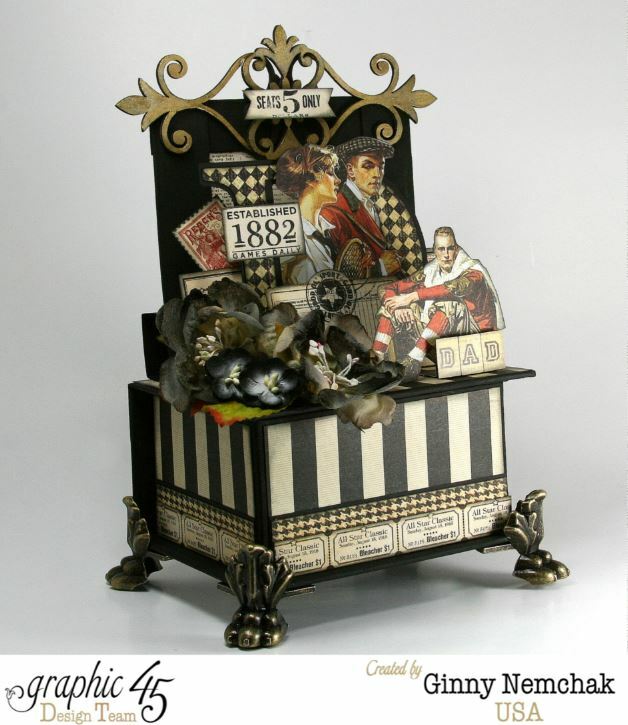 Now you can see why I’m calling it a treasure box! 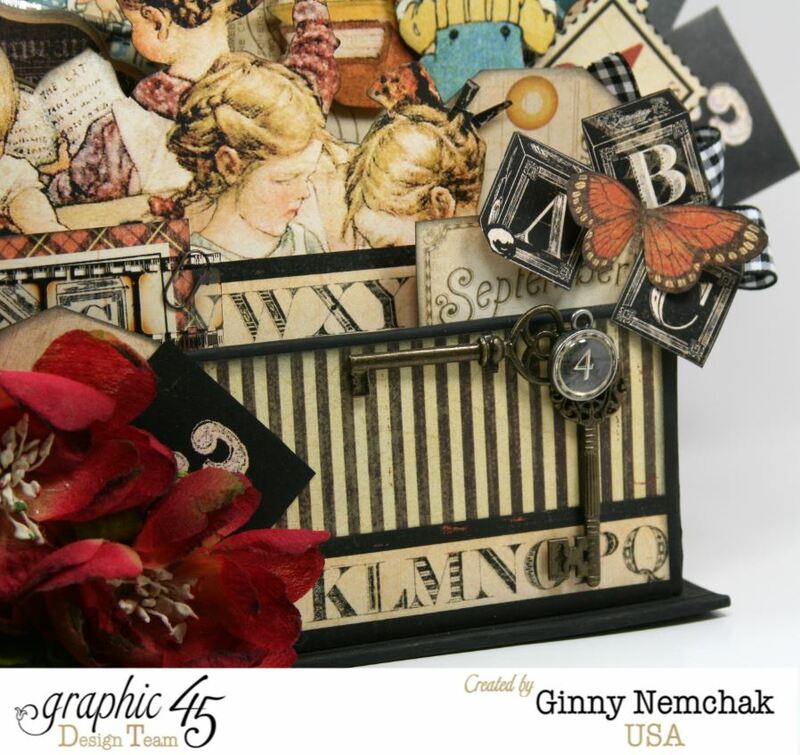 The lid opens to reveal the inside of the ATC Box. I covered it with silver paper that I ran through the embosser to give the look of steel plating.